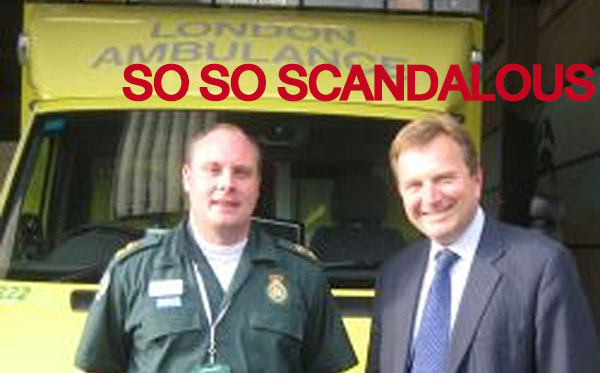 TheBlueGuerilla: Labour Select Assault-Arrest Scandal Ex-Tory for Council Fight in Croydon. Labour Select Assault-Arrest Scandal Ex-Tory for Council Fight in Croydon. CONTROVERSIAL former Tory MP Andrew Pelling has been selected as the Labour candidate in the Croydon ward of Waddon for next year's council elections, tbg can reveal. The Conservatives withdrew the Tory whip from Mr Pelling when he was arrested on suspicion of assaulting his pregnant wife but never faced any charges relating to the allegations. His ex-wife also made allegations that he considered Croydon voters to be chavs and apparently often joked he would open a shop called 'Chavs of Croydon'. "He thought it would be funny to sell fake Burberry, shell suits, scrunchies and Staffordshire bull terrier accessories" and refused to use the local NHS hospital, alleged Pelling's ex-wife. Months later, Pelling sensationally hit the headlines again after it emerged that he had been working as a city banker whilst on paid sick leave from the House of Commons. What a loser. Typical of Labour to choose another candidate whose in the trough. has he paid back the money?